Huge Savings Item! 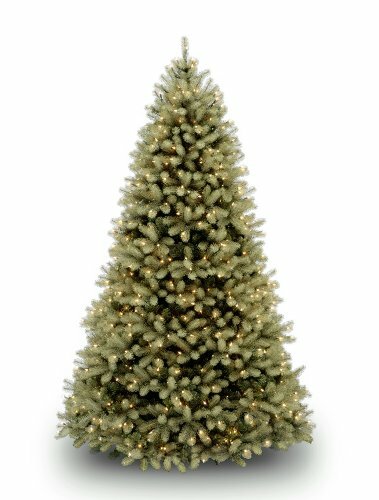 Save 20% on the National Tree 7.5 Foot ''Feel Real'' Downswept Douglas Fir Tree with 750 Dual Color LED Lights and On/Off Switch, Hinged (PEDD1-312LD-75X) by National Tree Company at Two Clock. MPN: PEDD1-312LD-75X. Hurry! Limited time offer. Offer valid only while supplies last. This Douglas Fir benefits from two of our finest features: Feel-Real™ branch tips for unparalleled realism and DUAL-COLOR low-voltage LED lights. This Douglas Fir benefits from two of our finest features: Feel-Real™ branch tips for unparalleled realism and DUAL-COLOR low-voltage LED lights. Change the color of the lights on the tree from soft white to multi-color with the tap of the included foot switch. LED bulbs are long-lasting and energy-efficient, the hinged branch construction makes assembly easy. 59" diameter at base, includes metal tree stand.